Protogami’s three-dimensional flexagons create a continual kaleidocycle that exposes a different set of triangular faces with each turn of its living hinges. It lets product designers and engineers see commonly used materials like ABS, PC and acetal, and how they interact with different surface finishes. Register for a free Protogami today. Click here to get your Protogami design reference tool. Sandia National Laboratories is helping San Francisco-based Red and White Fleet to create the SF-BREEZE (San Francisco Bay Renewable Energy Electric vessel with Zero Emissions), a project that aims to design, build, and operate a high-speed hydrogen fuel cell passenger ferry and create the world's largest hydrogen refueling station. Paper and cardboard prototype models are essential to test packaging design and functionality. Making them by hand is expensive and imprecise, but cutting plotters can produce perfect in-house mock-ups in minutes. When German cutting-equipment specialist Lasercomb wanted to create a smaller version of its standout piece of configurable cutting equipment, the design challenge proved greater than first expected. An international team of scientists has demonstrated an on-chip visible light source using graphene, an atomically thin and perfectly crystalline form of carbon, as a filament. Creating light in small structures on the surface of a chip is crucial for developing fully integrated “photonic” circuits. Eric Greenwood, a research aerospace engineer at NASA Langley, has developed a method he calls Fundamental Rotorcraft Acoustic Modeling for Experiments that could soon help reduce some of that pesky, problematic helicopter noise. Smalley wave springs are ideal for bearing preload. The wave spring preloads the bearing through its outer race, taking up play in the bearing. 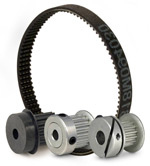 Preloading will reduce bearing damage, wear, noise, and vibration. 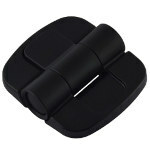 The wave spring prevents sliding between the rolling elements. Bearing springs come in metric sizes to match popular bearing sizes. Smalley has over 150 standard springs available, from 16 mm to 580 mm. Customs are available for unique bearing sizes with No-Tooling-Charges™. Ever-increasing requirements for more precise motion control from the optics, biotech, and semiconductor industries have forced manufacturers of piezoelectric positioners to find ways to overcome their limitations, such as travel range and linearity, while preserving their unmatched speed, reliability, and resolution. Stefan Vorndran and Scott Jordan, Physik Instrumente, get into the nitty gritty of using piezoelectric positioners for nanopositioning. Orion Fans has designed a super high-performance 60-mm 24-VDC fan that delivers airflow up to 86 CFM, an increase of more than 25 percent vs. previously available DC fans. The OD6038 XC Series fan offers a superior maximum static pressure value of 2.9" H20, more than three times that of competing fans on the market. Combining high airflow with high static pressure, the high-performance DC fan series is ideal for medical, networking, and telecom equipment. 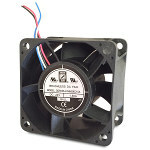 This fan has a dual ball-bearing design and brushless DC motor with auto restart and polarity-protection. Southco has refreshed its successful C6 Detent Hinge series with an improved design that provides increased corrosion resistance for applications that require doors and panels to be held securely at predetermined angles. Snap-on covers fully conceal mounting hardware, creating a modern, streamlined appearance that also enhances cleanability. This hinge eliminates the cost and labor of installing additional components to maintain consistent positioning and is available in a free-swinging style that allows a door or panel to open a full 180 degrees. Ideal for many industries, including off-highway, marine, and specialty vehicles, as well as industrial machinery applications. Bison's new line of brushless DC motors and gearmotors conserves space while still providing the power you need. The BLDC line combines the design advantages from the company’s most popular products with an efficient brushless DC motor that provides improved power density and long-lasting reliability. 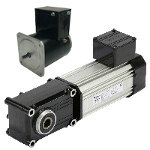 The BLDC line comes in 12-V and 24-V motor-only or gearmotor versions and is perfect for single-direction or reversible conveyor system equipment, peristaltic pumps, and any application requiring precise speed control and positioning. New U.S. Army night-vision equipment promises an enhanced image of the battlefield and frees Soldiers from using traditional firing positions. The Enhanced Night Vision Goggle III is worn on a helmet and can be wirelessly linked to weapon sights, so a Soldier will be able to accurately fire his weapon without having to bring the weapon up to eye level -- even shooting around corners. A prototype of the Preliminary Research Aerodynamic Design to Land on Mars, which is a flying wing aircraft with a twist, is planned to be ready for launch from a high-altitude balloon later this year. The glider will be released at about at 100,000-ft altitude, which will simulate the flight conditions of the Martian atmosphere. Research from North Carolina State University shows that lightweight composite metal foams made of stainless steel and stainless steel/metal hybrids are effective at blocking X-rays, gamma rays, and neutron radiation, and are capable of absorbing the energy of high-impact collisions. The finding means the metal foams hold promise for use in nuclear safety, space exploration, and medical technology applications. This Siemens PLM demonstration highlights the new interface for intuitive synchronous modeling, helping you to focus more on your design and less on the software. Synchronous technology in Solid Edge allows sophisticated wholesale moves of geometry “chunks” without regard for feature history. In Solid Edge ST8, QuickBar options control how a chunk interacts with surrounding geometry during the move. How cool would it be to fly with a real jetpack? See for yourself as Swiss-born Yves Rossy, sometimes called "Jetman" or "Rocketman," dons a 120-lb pack with 7-ft-long carbon-fiber wings and four modified kerosene-fueled model aircraft engines. In this incredible adventure, he flies with fellow jetpack enthusiast Vince Reffet around Dubai. The fuel they can carry provides up to 13 minutes of fly time. Speeds average 125 mph. Thrilling.